Since 22nd November 2014, after extensive renovations, the Kunstgewerbemuseum (Museum of Decorative Arts) in the Kulturforum greets the world in dazzling, new attire. Many parts of the building, designed in 1966 by Rolf Gutbrod in the spirit of post-war modernism, have been remodelled by the architectural firm of Kuehn Malvezzi. In the foyer, the ticket desk, information desk and cloakroom have been housed in white, cube-shaped installations, whose simplified form allows them to retreat into the background, leaving the staircase to occupy a space of its own. The treads of the stairs have been enclosed in a sumptuous casing, emphasising the horizontal and lending a unity to the staircase while at the same time bringing out its sculptural quality. An easy-to-follow signage system explains the spatial arrangement of the building, directing visitors around it by means of red, overhead signs. Also newly designed are the exhibition rooms for the Fashion, Design, and Jugendstil to Art Deco collections. 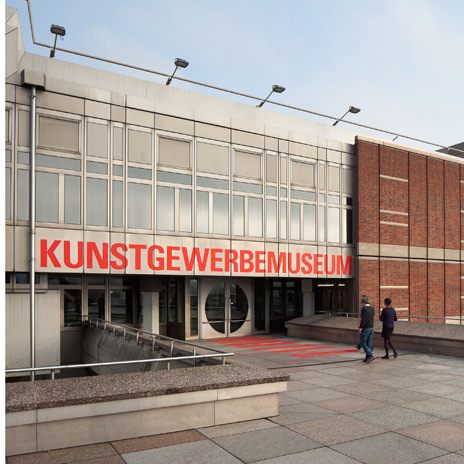 To present its huge range of exhibits, covering a multitude of styles and materials, the Kunstgewerbemuseum offers a variety of themed tours. The new fashion gallery beckons as soon as you enter. In large showcases, installed in rooms lit dimly for conservation purposes, mannequins model around 130 costumes and accessories. Representing 150 years of fashion history, the display conveys a sense of strolling through a shopping arcade, with the creations of such famous couturiers as Paul Poiret, Elsa Schiaparelli and Christian Dior in the windows. This is the first time that Berlin has had a permanent exhibition covering every aspect of fashion. The core of the display is the international collection of Martin Kamer and Wolfgang Ruf, which was purchased in 2003. Another highlight is the new Design Collection display in the basement. This top-quality selection presents Bauhaus classics alongside the designs of contemporary design celebrities such as Ettore Sottsass, Philippe Starck and Konstantin Grcic. A chair gallery rounds off the tour, with a selection of innovative designs from the 19th century to the present day. The chair illustrates the different possibilities of design better than almost any other object; here the spectrum ranges from the simple and serviceable to the luxurious, culminating in designs where imagination completely overtakes functionality. On the ground and first floors, the museum presents a systematic survey of European masterpieces of the minor arts, from the Middle Ages to Art Deco. 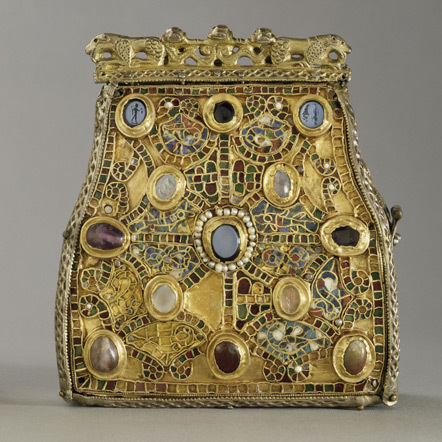 On the ground floor are precious Mediaeval devotional objects, including the famous Guelph Treasure, together with magnificent Renaissance artefacts such as the silver treasure of Lüneburg city council. Upstairs, the Baroque passion for collecting is exemplified in the phenomenon of the Kunstkammer - collections of exquisite curiosities and objets d'art housed inelaborate collectors' cabinets. The large cabinet by David Roentgen, an iconic masterpiece of its kind, marks the transition from Baroque to Neoclassical taste. Four 'rooms within rooms' have been created to display the Jugendstil to Art Deco Collection. Inside these intimate spaces are stages for items of furniture and exhibits of outstanding interest, while further objects are displayed in showcases set into their outer walls. Organised thematically, these different display areas are devoted to artistic movements between the 1900 Exposition Universelle in Paris and the end of the 1920s. They form the perfect setting for the ornaments of René Lalique, the furniture of Henry van de Velde and the stained glass of César Klein.